Patients who have progressed to ESRD require either dialysis or renal transplantation. The three basic types of dialysis are peritoneal dialysis, hemodialysis, and continuous hemofiltration. Peritoneal dialysis uses the peritoneum as the semipermeable membrane. Access is achieved with the surgical placement of a catheter into the peritoneal cavity. Approximately 2 L of sterile dialysate is infused into the cavity and left for a variable period of time (usually from 4 to 8 hours). At the end of the cycle, the dialysate is removed and discarded. A fresh amount of sterile dialysate is infused, and the cycle is continued. Hemodialysis uses a surgically inserted vascular access, such as a shunt, or vascular access into an arterialized vein that was created by an arteriovenous fistula. In emergencies, vascular access through a large artery may be used. The blood is removed through one end of the vascular access and is passed through a machine (dialyzer). The dialyzer contains areas for the dialysate and the blood, separated by a semipermeable membrane. The fluid and waste products move quickly through the membrane because the pressure on the blood side is higher than that on the dialysate side. The blood is returned to a venous access site. Continuous hemofiltration uses vascular access in the same manner as hemodialysis. The patient's heparinized blood goes from an arterial access, through the hemofilter (the semipermeable membrane), and back to the patient through venous access. No dialysate is used. The hemofilter uses the patient's own blood pressure as the source of pressure. One disadvantage is that frequently too much fluid is filtered, thus resulting in the need for intravenous fluid replacement. Other procedures, such as venovenodialysis, are also used in some institutions. Surgical interventions for the patient with CRF consist of creating peritoneal or vascular access for dialysis or renal transplantation. The transplanted kidney may come from a living donor or a cadaver. One-year survival rates are currently 70% to 90%. The new organ is placed in the iliac fossa. The original kidneys are not generally removed unless there is an indication, such as infection, for removing them. The greatest postoperative problem is transplant rejection. The diet for the CRF patient is generally restricted in fluids, protein, sodium, and potassium. It is usually high in calories, particularly carbohydrates. The fluid restriction is generally the amount of the previous day's urine plus 500 to 600 mL. The patient with CRF is frequently taking many medications. 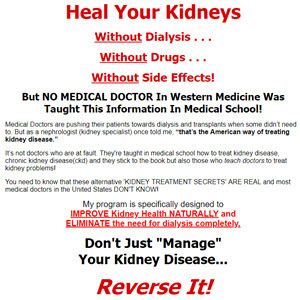 A significant concern is that the patient's altered renal function also alters the action and the excretion of medications; toxicity, therefore, is always considered a possibility, and dosages are altered accordingly.